Our New Season Queens are in, and all feedback so far has been brilliant. The crop strikes a nice balance between floury and waxy, and the taste is sweet enough you don't need to add butter! At a recent Local Suppliers Day at SuperValu Ardee where we sampled our New Season Queens, all feedback was positive. 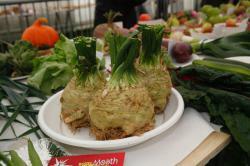 Both floury and waxy potato fans alike thought the taste of the Queens this year was outstanding. They are available under our retailers' own name brands nationwide, and at selected stores under our Meade brand. 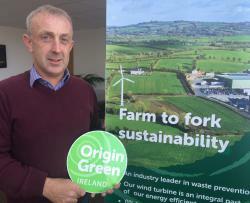 Clonmellon is celebrating its roots as the first place in Ireland where spuds were grown. While Youghal in Cork has always laid claim to being the first potato plantation in Ireland, evidence now suggests that Sir Walter Raleigh's ancestral home, Killua Castle, in Clonmellon, Westmeath was where the first potatoes were cultivated, before he began larger scale planting at his Youghal farm. To celebrate this piece of spud history, Clonmellon is holding its first ever Potato Festival on Sunday, 16 August from 2-6pm. 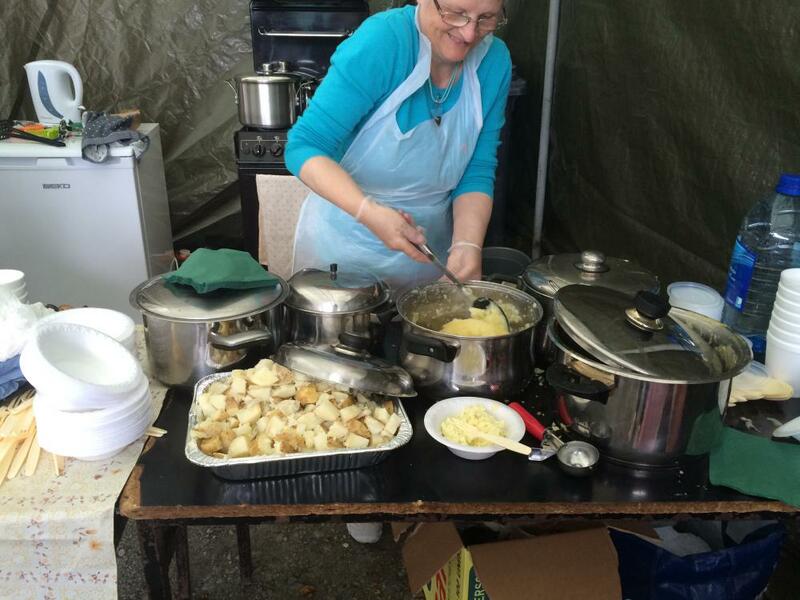 There will be colcannon, contests and lots of craic on offer with traditional music, bouncy castles, talent contests, cooking contests, spud peeling contests, a 'foodie' fair, Mr. Tayto, and of course our very own Mr. Rooster Spud and Mr. Rooster Chips. 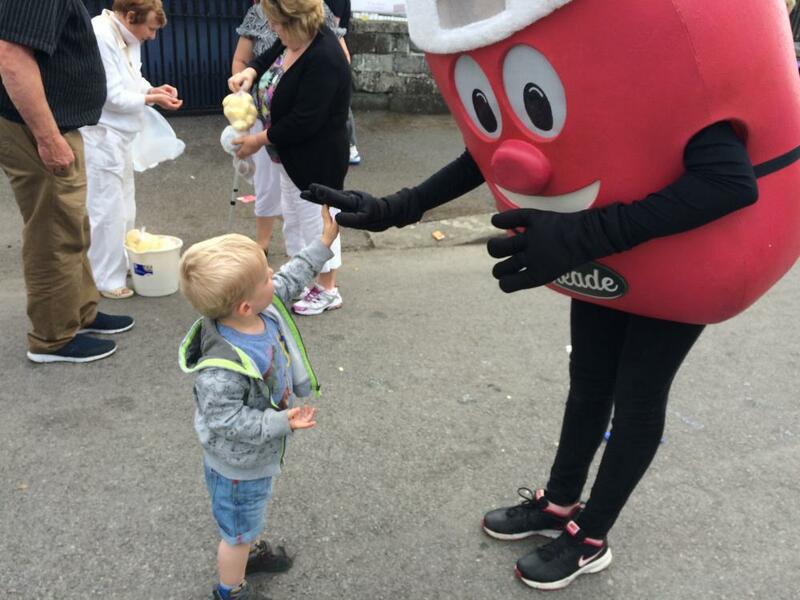 Clonmellon was thronged on Sunday 16 August with potato lovers for the first ever Potato Festival - potato crafts, cooking & contests, as well as great music, entertainmnent & kids activities. 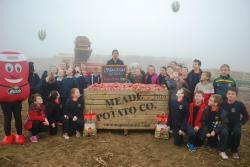 Meade Potato Company were happy to sponsor this event, which seeks to celebrate Ireland's love affair with the potato and to commemorate the first place in Ireland where potatoes were planted. Sir Walter Raleigh's ancestors at Killua Castle in Clonmellon, Co. Westmeath erected an obelisk in 1810 to commemorate the first ever potato plantings in Ireland grown by Raleigh there in the late 1500s. Today the country's love of this super healthy staple of the Irish diet continues. Potato peeling contests, spud guessing contests, potato crafts and more kept children and adults alike busy for the day. So stay tuned and we will keep you updated on the activities planned for next year's festival! 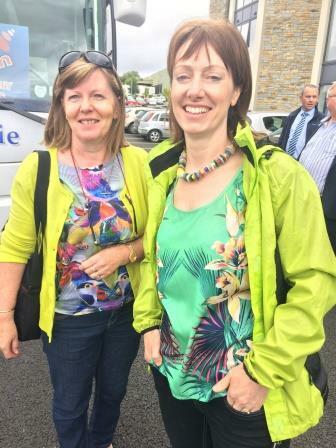 The LMFM Mystery Tour rolled into Meade Potato Co on Wed 2 Sept to treat participants to a behind the scenes look at how produce is brought from our farm to your fork. 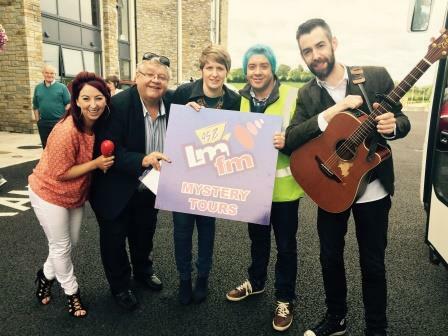 Seamus Farrelly and Christy of LMFM brought their unique sense of fun and adventure to the tour of the farm and food production facility. 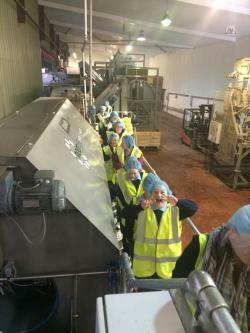 A walk up to our Potato Division was followed by a viewing of the Fruit and Vegetable Division, and capped off with some scones and craic in the canteen. It was a pleasure having the 55 participants here, we enjoyed getting to know them and hope that they enjoyed getting to know us! Meade Potato Company sponsors the Outstanding Exhibit in Fruit and Veg Section at the Royal Meath Show this Sunday 6 Sept. in Trim, Co. Meath. 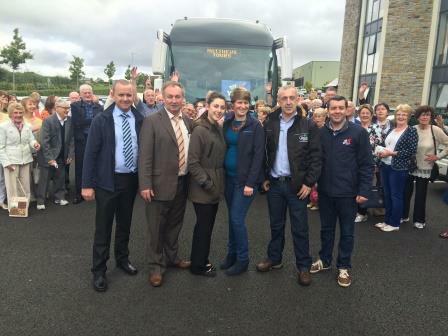 The Royal Meath Show has a long tradition of showcasing the best and brightest of country living in Trim, Co. Meath. Their Home Industries Section is of a high standard with numerous classes catering for every aspect of the home economies. With a particularly impressive Fruit and Vegetable Section always on display, Meade Potato Company is delighted to sponsor the award for Outstanding Exhibit in these classes. 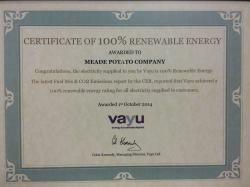 Meade Potato Co. celebrates National Potato Day! 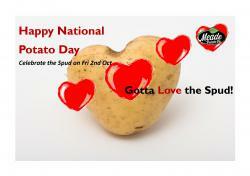 Meade Potato Co. is celebrating the spud for National Potato Day on Friday 2nd Oct by doing a series of hamper giveaways on LMFM and an airfryer giveaway through our facebook page. Up the Spud! 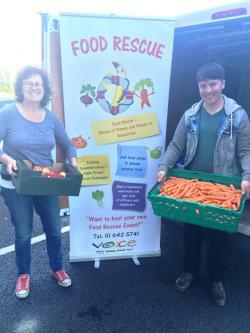 A potato, fruit and veg hamper will be given away every day in the week leading up to National Potato Day 2nd October on the Breakfast show on LMFM with Seamus and Christy. Tune in from 7-9am to find out why the potato is one of the best nutritional choices you can make and answer a simple question about why the spud is a staple of the Irish diet in order to be in with a chance to win. Get that airfryer you've always wanted in our National Potato Day airfryer giveaway. Simply Like our facebook page, tag your friends/family who love their spuds the most and Share the love to be in with a chance to win an airfryer this Friday! Competition closes on Friday at 4pm. Winner announced on Friday at 4:30pm. In addition to being football fans here at Meade Potato Company, we also believe in supporting active lifestyles, of which football can play an important role. So it is with pleasure that we sponsored the Meath Intermediate Football Championships on Sunday 4th October at Parc Tailteann. 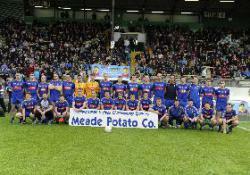 We are proud to be part of the Meath GAA family with this sponsorship and our involvement with Syddan GFC. This year our neighbours Nobber were beaten after putting up a valiant effort by the much larger club of Ratoath. 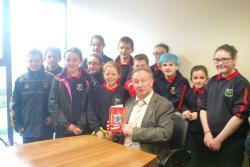 Pictured below are the winning team Ratoath. THE PERFECT SPUDUCATION: Students from Newtown N.S. 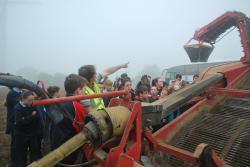 and Heronstown N.S., Co. Meath, join Ireland and Leinster rugby player Mike McCarthy on a foggy National Potato Day morning, Friday, 2nd Oct, at the Meade farm potato harvest to get a field to fork spud-ucational tour, and to learn firsthand from McCarthy the importance of the potato in powering your play.